We’re not even quite halfway in to February and already, I’ve succumbed to what I believe is my fourth visit to Bristol’s Ikea store in as many months! So, it’s been almost two-months since I bought a roll-packed Malvik foam mattress (firm)… They say you should allow one month for your body and mattress to adjust to each other. I’ve been extremely patient but, no matter what I try (sleeping positions, thickness of pillow or pillows), I cannot get a long lasting, comfortable sleep and still wake up with back aches – albeit, higher up the spine than before. 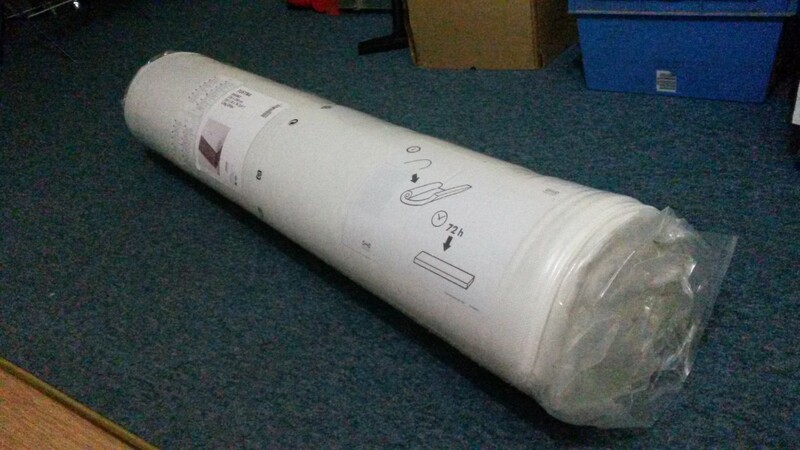 A change is inevitable and it is reassuring that Ikea’s returns policy is extremely generous, where you can return your mattress within ninety-days of purchase, provided you still have the receipt and that it’s in a re-saleable condition (ie. no stains, damage or bodily smells). 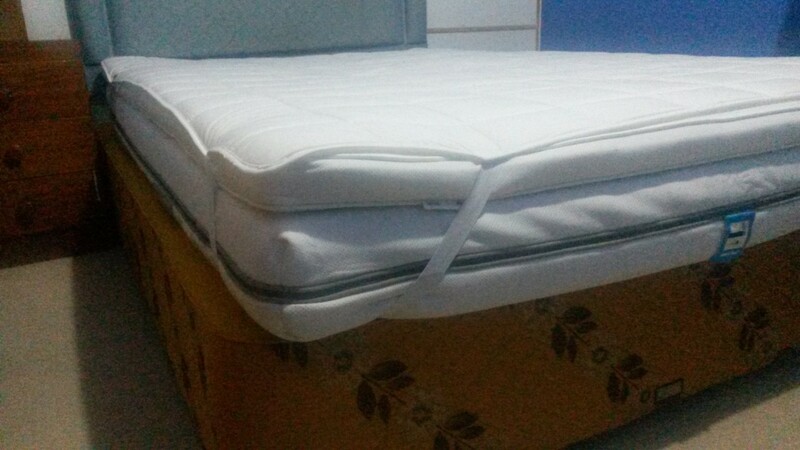 My Malvik mattress has been served with an ultimatum, after I purchased a mattress topper on Saturday evening – ironically, this cost more than the mattress alone! I’ve read countless times that foam absorbs heat without being able to disperse of it. So, you can end up overly warm and uncomfortable in bed (which I have experienced with my mattress). The Tustna topper is filled with latex and wool. My current mattress is firm and too much so. This pad is recommended for a softer sleep. Using my hand, I squeezed it in the store and it seemed more promising than the others. 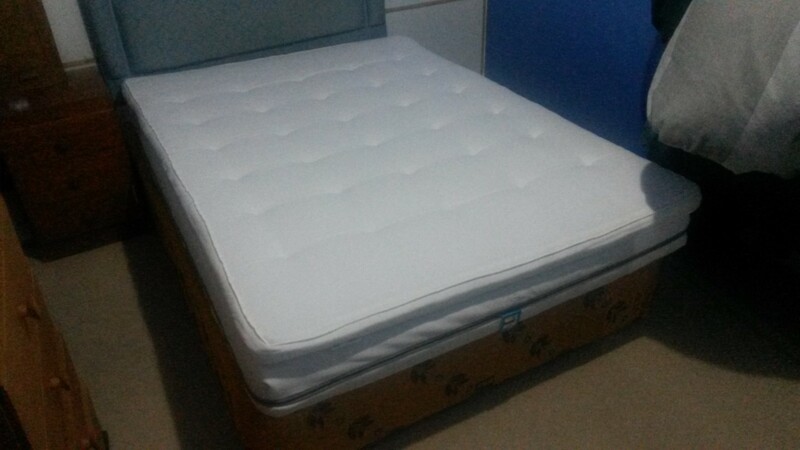 So, I’ve added an extra 70mm to the overall height above my bed base and the mattress protector I also bought before Christmas is holding it all together very well. I also got to drive around to and experience the Ikea Warehouse for the first time – it’s basically like Argos but a lot nicer and with comfy chairs! I’m going to test this new arrangement until the end of February, which should then leave me with a small handful of weeks to return the mattress (should I decide to) before my ninety-day window closes. 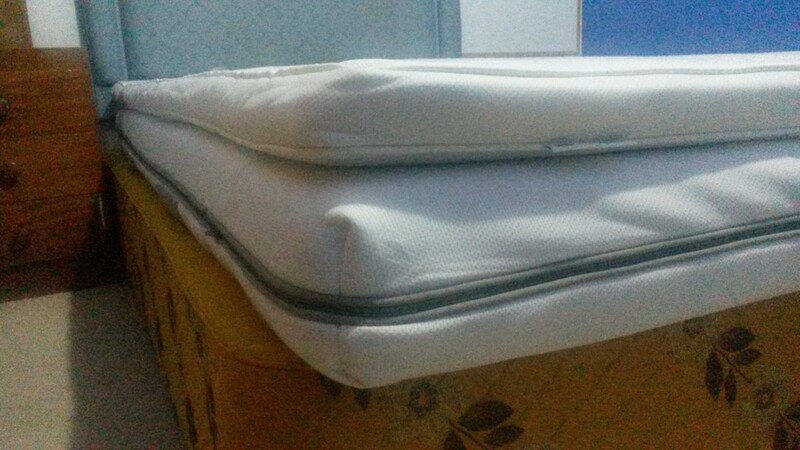 So far, I am sleeping a bit better and the extra 70mm of softness does now allow me to sleep on my side. Lying on my back remains less comfortable than I would like. Should I take the Malvik mattress back (I’ve been told you are allowed to re-roll them for transport), I may look at paying the £60 difference to take home a Morgedal memory foam mattress – just looking now, I realise that the ‘medium firm’ option is memory foam while the ‘firm’ model is simply listed as ‘high resilience foam’, which may explain why I didn’t notice the memory foam mattress last year… And hence, why I’m stuck on this foam-filled mattress merry-go-round! I’ve already spent more than I would’ve expected to in December and I’m happy to pay a bit more again for a better night’s rest. With the common issues I’ve read of ‘warm’ memory foam mattresses though, I wonder where someone would benefit from owning and using a memory foam topper? Elsewhere, I read that memory foam may be displaced by ‘gel’ mattress within a few years. Thanks for reading. I do believe the Malvik foam mattress is a good product but I made the mistake of buying an option that was too firm for my own back. I also spotted the feather-filled pillows but haven’t bought them… Yet!